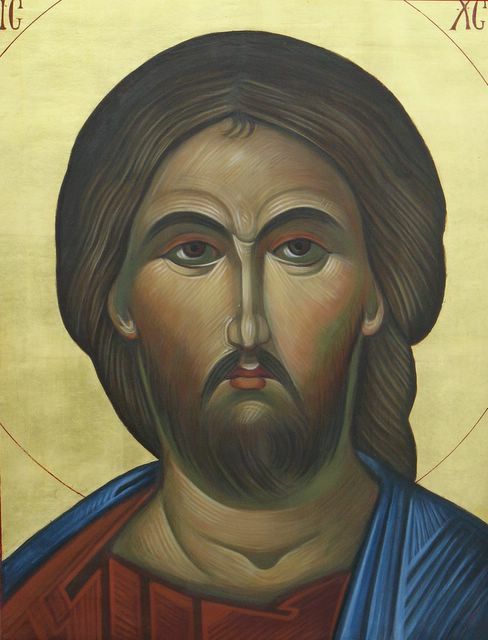 Reflection on the gospel reading: Jesus is the model and pattern of our lives. His witness that his life has a purpose is testament that all of our lives have purposes. When Jesus says that he casts out demons, he suggests we too are to quiet the the distress we encounter in one another. When he says that he heals, he invites us to mind each others’ wounds. When he obliquely refers to his resurrection on the third day, he encourages us to be resilient. And when Jesus says it is impossible for him to die outside of Jerusalem, he reassures us that we will not go before we achieve what God sent us to do. 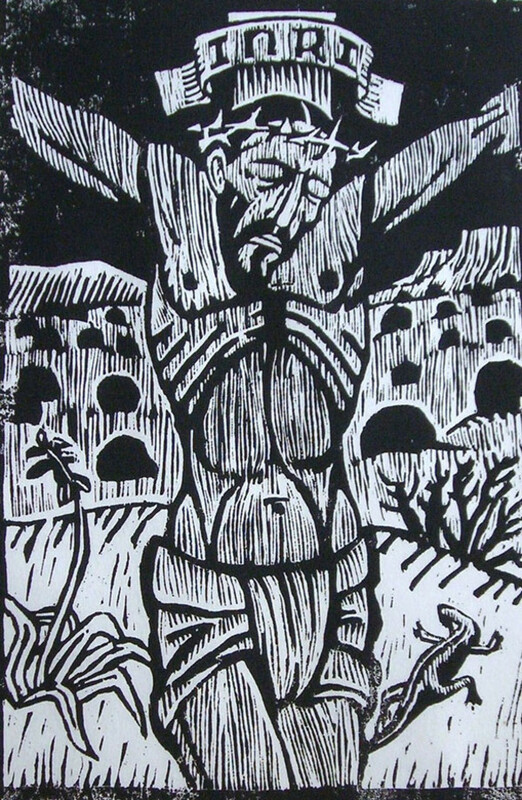 Saint of the day: Fernando de la Fuente de la Fuente was born December 16, 1943. He was a Spanish Marist Brother and missionary who was one of four Marist Brothers martyred at the Nyamirangwe refugee camp, Zaire. Together with the brothers of his community who were assassinated, Brother Miguel Ángel Isla Lucio, Brother Servando Mayor García, and Brother Julio Rodríguez Jorge. Brothers Fernando, Miguel, Servando, and Julio are commemorated in Marist circles on October 31 as the Martyrs of Bugobe. The cause of the canonization of the four men is pending. Born to Sigismundo and Primitiva de la Fuente de la Fuente in Burgos, Spain, Fernando became a teacher in Chile after taking his first vows on July 2, 1962. He had also worked as a formator and a member of the Chilean provincial council. The Marist Brothers had had a strong presence in east-central Africa, particularly Rwanda, where they had been since 1952. However, with the Rwandan genocide in 1994, the General Assembly and the District Council of the Brothers of Rwanda made the decision in August 1994 to have a renewed presence among the Rwandans to assist in the nation’s rebuilding. Within the country, three communities which centered their mission on the schools were reopened. Six Brothers formed a new community at the service of the refugees outside the country. In view of the escalating difficulties faced by the refugees and the Rwandan Brothers themselves, the community was reinforced with three non-African Brothers. But as the inter-racial tensions persisted, it was decided to withdraw the Rwandan Brothers from the Bugobe community. To aid the mission of the Rwandan Brothers, Brother Fernando offered to participate as an expression of missionary solidarity. He was accepted and left in December 1995 to serve the mission. After two months in Belgium at the Center for the Formation of French-Speaking Missionaries, he went in February 1996 to Zaire, to the refugee camp of Nyamirangwe (Bugobe). Fernando de la Fuente de la Fuente, Miguel Ángel Isla Lucio, Servando Mayor García, and Julio Rodríguez Jorge were murdered on October 31, 1996 around 8:00 in the evening. They were apparently shot. The perpetrators of the crime were a group of the Officers of the Rwandan Patriotic Army (APR), who murdered the Archbishop Christophe Munzihirwa two days before and the Rwandan and Burundian refugees in the refugee camp Nyamirangwe. The bodies of the four Marists were recovered from the waste-water tank on November 14 and were interred at the brothers’ novitiate house in Nyangezi. Reflection on the gospel reading: it would terrible to hear those words, “I do not know where are from. Depart from me, all you evildoers.” Admission to the Kingdom of God is not an entitlement; each day and all the days of our lives Jesus calls us to walk through that narrow gate, the gate of faith, trust, and love for the Lord and one another. With that faith, trust, and love, we will find ourselves joining the patriarchs, the prophets, and all the saints in that life of unending happiness and union with our God for which we were made. Today’s gospel is different from the past few weeks as it recalls an encounter rather than a parable of Jesus. The encounter involves many elements that have come up in Jesus’ ministry, a rich man, a tax collector, the Romans, the poor and people’s perception of sin and sinners. 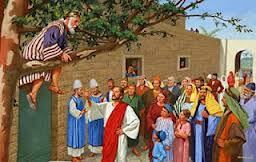 Zacchaeus was a wealthy man who made his living by collecting taxes. He was short so to get higher for a better view so he climbed a tree. Jesus, seeing him called him down and invited himself for dinner. At this point, the translators have some disagreement as to whether Zacchaeus promises to give half his wealth to the poor and make restitution for any errors or that he is all ready doing that. 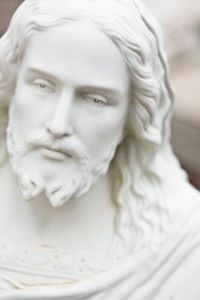 I suppose they will argue forever over the nuances of translating, but either way, Jesus has placed himself in the house of a rich man and in the company of a man who was perceived to be a sinner and collaborator, a person making money collecting taxes for the Romans. This is the same Jesus who has so often talked about the difficulties for the rich to gain eternal life. But think, Jesus came for all. Sure he sought out the poor and outcasts, but he was there for all who sought him out and believed. Wealth might be a hindrance in one way or another, but it was not a reason to be turned away. Jesus met each person he encountered as a new relationship. His message was for all and he would meet and give it to anybody, even the rich, even perceived sinners. The life of faith, the call to morality or a good life is an invitation by God. It is not a threat, but a result of the gift of life, the gift to choose or free will as it is traditionally called. Each of us can make our own choices, but Jesus shows us a special way, a way to life. His choices were always the way to his father. Eating, sharing with Zacchaeus and his friends was a new friend and more followers for Jesus. His concern was not what people thought, but rather what was his mission. He was sent to bring all to his Father. Each person is unique and each is in one way or another lost and needs to be found or touched by the spirit of God. His invitation is just that so we can remember who we are meant to be. Once we receive his invitation, it is up to us to follow-up and answer its call. Saint of the day: Chiara “Luce” Badano was born in Italy in 1971, to devout parents who had waited 11 years to welcome their first and only child. From a young age, she was active in the Focolare Movement, and her joyful witness earned her the nickname “Luce” (Light). 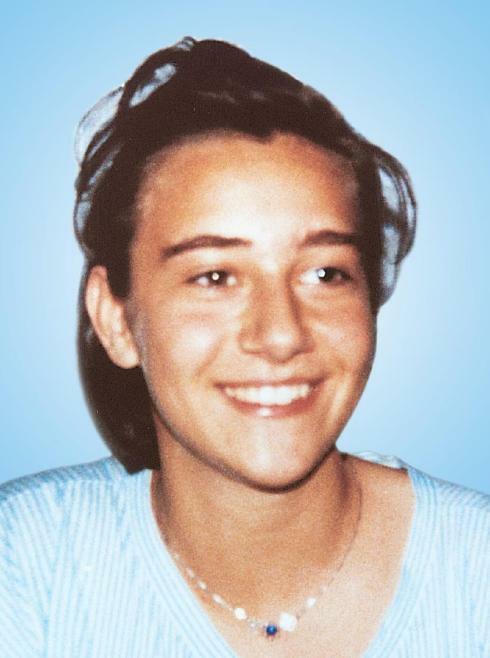 Chiara died in 1990 at age 19. Her last words to her family were, “Be happy, because I am happy!” Chiara’s parents were present at her beatification in September 2010. Reflection on today gospel reading: Jesus’ mission in Luke’s gospel commences with his unrolling a scroll in the synagogue in Nazareth to read from the prophet Isaiah about his work to bring healing to the afflicted and announce liberation to captives. On another sabbath later in his ministry, a woman enters a synagogue crippled and unable to stand up straight. Like so many of us, she is bowed over with the burdens of her life and comes to the place of worship to be set free of the infirmities that weigh her down. Just as her encounter with Jesus permits her to stand up straight, so too our encounter with Jesus lets us do the same. 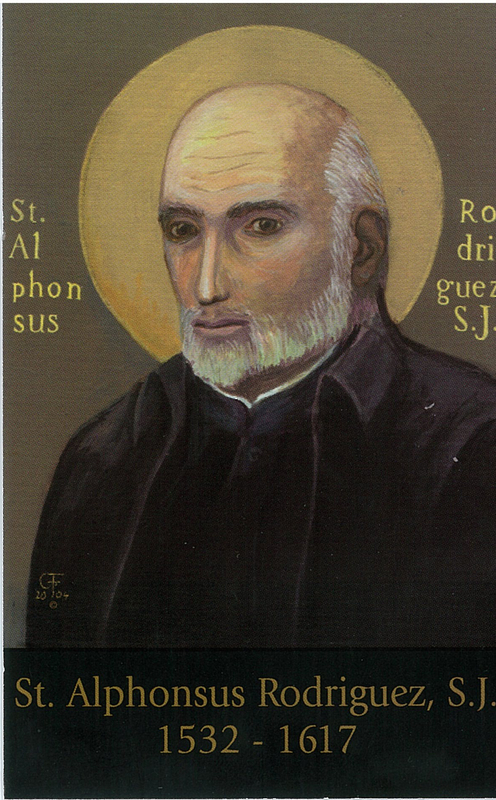 Saint of the day: Fr. Tom Gafney was born in Cleveland, Ohio, on November 28, 1932. He joined the Jesuits in September 1952 and came to Nepal in 1959 after doing his philosophy studies at West Baden, Indiana. He had regency at St. Xavier’s Godavari, and then went to India for theology and tertianship. Fr. Tom returned to Kathmandu in 1967 after his Jesuit training, and he began working in the schools, which at that time was the main work of the Jesuits in Nepal. He was vice-principal and teacher at St. Xavier’s Godavari in 1967-68, then treasurer, teacher, and rector at St. Xavier’s Jawalakhel, from 1969 To 1976. In the meantime, he became director of the Social Service Centre for the region, and this became his full-time job from 1976. Fr. Tom began his Social Service Center in a house close to St. Xavier’s School, Jawalakhel. He used to go into the streets and gather the homeless boys from the city. The main goal of his venture was to give them education, a home, arid paternal love. Being well aware of the psychological needs of the boys, he designed the appearance of the building with a cheerful look. He also took care of their physical growth by introducing various sports activities such as Taekwondo, a form of martial art, for the boys. They were very happy and full of fun. Gradually, Fr. Tom expanded his work, and established other centers in the city. Somehow Tom managed to do all the good things most of us would like to do. He saw the effects of drug-addiction on the youth of Nepal, and he began detoxification programs, he founded Mukti Kendra (Freedom Centre), to help them. He also had a heart for the handicapped. This led him to open a center for the handicapped at Nakipot. Many a time he would take a child, or even adult, for heart surgery or to get an artificial limb or any special treatment, to India or any other country where the care was available. As the HIV epidemic emerged, he gave a lot of time and attention to people with AIDS. Money was no consideration. Fr. Tom would somehow find enough money to help those who needed it for the treatment. He attended international conferences on drug addiction, and took handicapped children for special “Olympics” in Nepal or abroad. He treated them just like ordinary human beings, which was just what they needed. He never forgot his priesthood, and was, for many years, the spiritual director of IBMV Sisters. Underlying all his social action was a deep spirituality and the Jesuit charism. 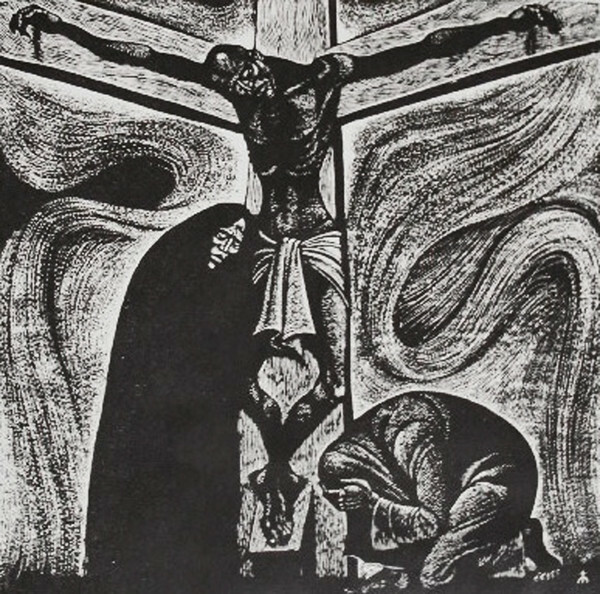 Reflection on the gospel reading: Prayer is always a conversation between God and each of us. 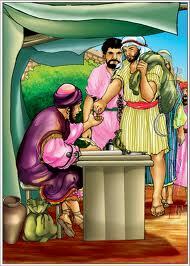 The tax collector as he stands in the temple knows that someone is listening to him. The Pharisee exalt himself in his prayer. He is not listening to God. There is no conversation; the Pharisee is essentially praying to himself. Reflection on the gospel reading: Jesus speaks with a group of people who tell him about a couple of calamities that have befallen people. Jesus volunteers that sudden death came to people who neither deserved to die nor in any way contributed to their untimely deaths, but he holds it out as a warning that we should always live our lives in the way we would want to live our last minutes. 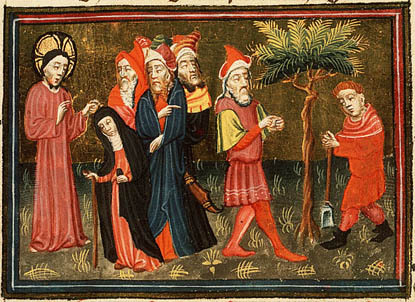 In the parable at the end of this passage, Jesus points out that the three years of his ministry have not caused his listeners, who are like the fig tree in the parable, to bear fruit. But as long as there is life, Jesus says, there is hope. Saint of the day: Celine Chludzińska was born on October 29, 1833 in Antowil, Orsza, formerly Poland and now Belarus, one of the three children of wealthy land-owning parents, Ignatius and Petronella Chludzińska. Growing up, she considered a religious vocation, but out of obedience to her parents she married Joseph (Józef) Borzęcki in 1853 becoming Celine Borzęcka. During their marriage, Celine gave birth to four children, two of whom died in infancy. She helped her husband manage their estate and educated her two daughters, Celine and Hedwig (Jadwiga), at home. In 1869 her husband Joseph had a stroke and was struck by paralysis. Seeking out the best medical treatment for her husband, Celine and her family moved to Vienna. 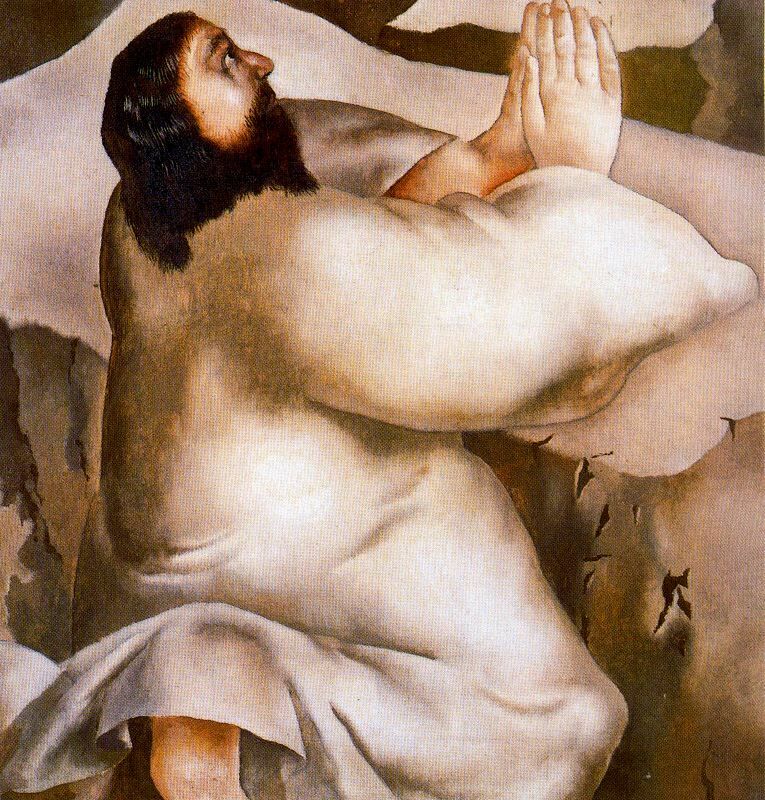 Joseph died a few years later, after which Celine went with her two daughters, Celine and Hedwig, to Rome. In Rome, she met Fr. Peter Semenenko, a co-founder of the Congregation of the Resurrection, who became her spiritual director. In 1882, Celine Borzęcka along with her daughter Hedwig (her daughter Celine had married) and two other women began living as a religious community. In 1887, Celine Borzęcka opened her first school. On January 6, 1891, the Congregation of the Sisters of the Resurrection was officially founded, and the two co-foundresses, Mother Celine Borzęcka and her daughter Mother Hedwig Borzęcka, made their final vows. In the fall of 1891, the congregation’s first house was opened near Wadowice in Poland. Other houses soon followed in Bulgaria, Poland, and the United States. Mother Celine Borzęcka continued to lead the institute until 1911. She died in Krakow, Poland on October 26, 1913. She was beatified on October 27, 2007. Jesus said to the crowds, “When you see a cloud rising in the west you say immediately that it is going to rain–and so it does; and when you notice that the wind is blowing from the south you say that it is going to be hot–-and so it is. You hypocrites! You know how to interpret the appearance of the earth and the sky; why do you not know how to interpret the present time? Reflection on the gospel reading: Jesus invites us to take a long loving look at the real. When Jesus tells us we know how to interpret the rising cloud and the blowing wind, he means that to the extent that we behold the world as it really is, we become aware of the presence of the God who is in all things. For the one who has fallen in love with God, God is to be found everywhere, from the farthest stretches of the cosmos to the crowds gathered to watch the World Series. 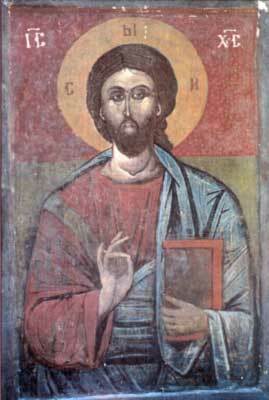 Jesus urges us to cultivate eyes that truly see into the appearances of the universe and recognize God’s presence suffusing everything we sense. Saint of the day: Angela Arenare was born February 23, 1816 in Naples, Italy. She was the daughter of a distinguished physician name Fortunato Arenare. She became a woman religious in a congregation that no longer exists, the Servite Nuns of the Third Order Regular. Her name in religion was Maria Juliana of the Blessed Sacrament. Sister Juliana was tending the young daughter of Marquis Vigo; the girl was very ill. Sister Juliana prayed to God that God spare the girl and take her life instead. Sister Juliana quickly became ill with the same disease the child had suffered at the same time that the child regained her health. Sister Juliana died in Naples on October 25, 1857. The investigation into her cause commenced in April 1898. Reflection on the gospel reading: In the Old Testament, God appeared to Israel as a pillar of fire that led God’s people through the desert. When Jesus says he comes to set the earth on fire, he is talking about the complete inbreaking of God into human history, where God and God’s values hold sway over human destiny, and God leads God’s people through future time as once God led God’s people in the desert. Until that day arrives when all live the passionate life of God on earth, to follow the way of truth and love and of freedom and justice is always going to arouse the hostility of those whom goodness threatens. No matter who may hurt by our choices, we are to keep our eyes on Jesus and our feet on Jesus’ path. Saint of the day: Luigi Guanella was a priest from Northern Italy. Luigi was the ninth of thirteen children born to Lawrence and Maria Guanella in 1842. The family was poor but respected and devoted to their religious beliefs and practices. He had it appears a normal childhood for the times. He entered the seminary when he was 12 years old and was ordained in 1866. From 1875 until 1878 he assisted Don Bosco famous for his care of homeless children. During much of Father Guanella’s lifetime, Italy was in a state of political unrest. Numerous laws were passed by the anticlerics and socialists restricting and suppressing the works of the church. Father Guanella continued his works of ministering to the homeless, poor, orphans and handicapped. He was a friend and a contemporary of Pope Pius X often appealing to him to help in his works. To continue his works he founded two religious orders, the Servants of Charity and the Daughters of St. Mary of Providence. Both groups are still at work in Italy, the United States, and other countries. Father Guanella came to the United States in 1912 to investigate the plight of the Italian immigrants. While in Chicago he attempted to visit Genoa, Wisconsin to visit old friends and relatives, but was unable to fit in a visit. Father Guanella died in 1915. 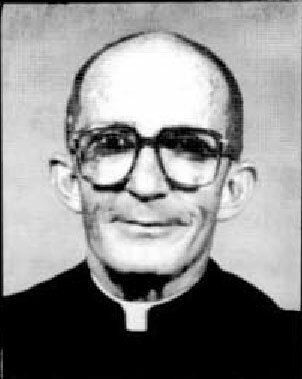 Father Guanella was beatified in 1964. The miracle needed for his canonization was the healing of a young American, William Glisson, who was 21 when he fell over a hole and hit his head while skating backward without a helmet, rollerblading down the Baltimore Pike in Springfield, Pennsylvania. He needed two separate skull surgeries and was in a coma for nine days with a grave prognosis. After a doctor, who was a family friend and who worked at a rehabilitation center run by the Opera Don Guanella, gave Glisson’s mother two relics of the future saint, Glisson was released from the hospital in less than a month and returned to work just seven months later. Luigi Guanella was canonized in 2011.